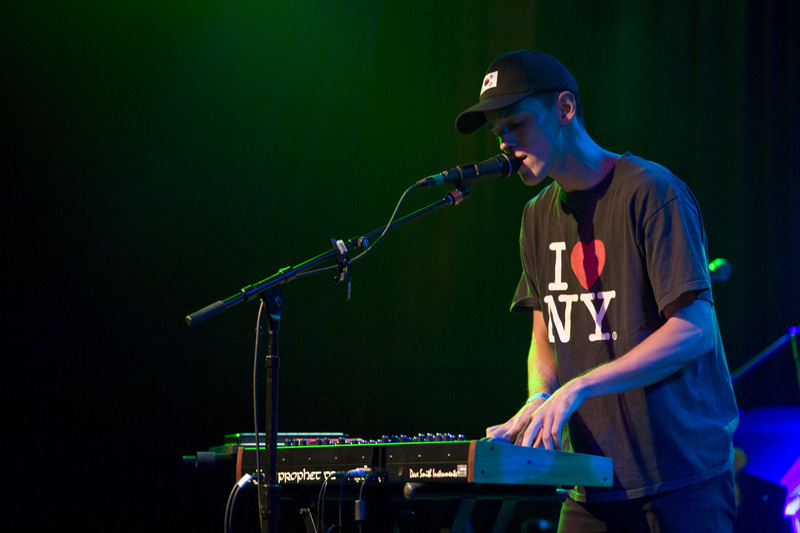 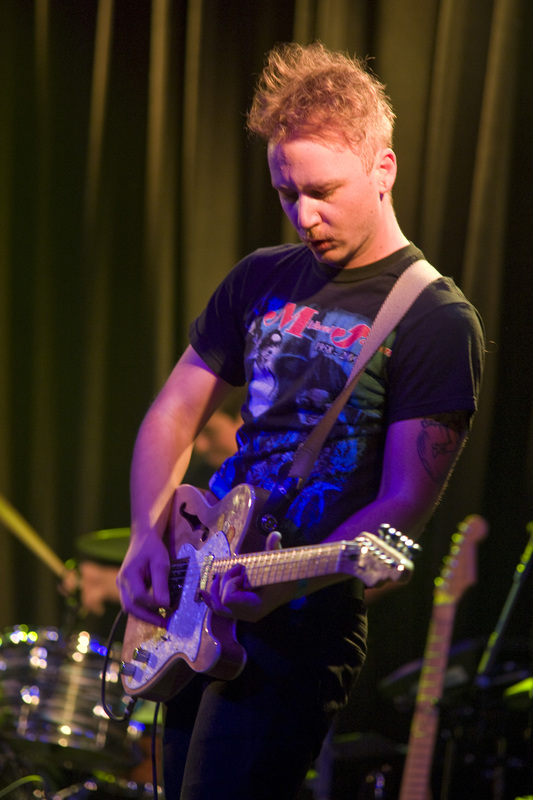 Aaron Maine has written music under a number of different monikers, including, but not limited, to Aaron Maine and the Reilly Brothers, Space Ghost Cowboys and Ronald Paris. 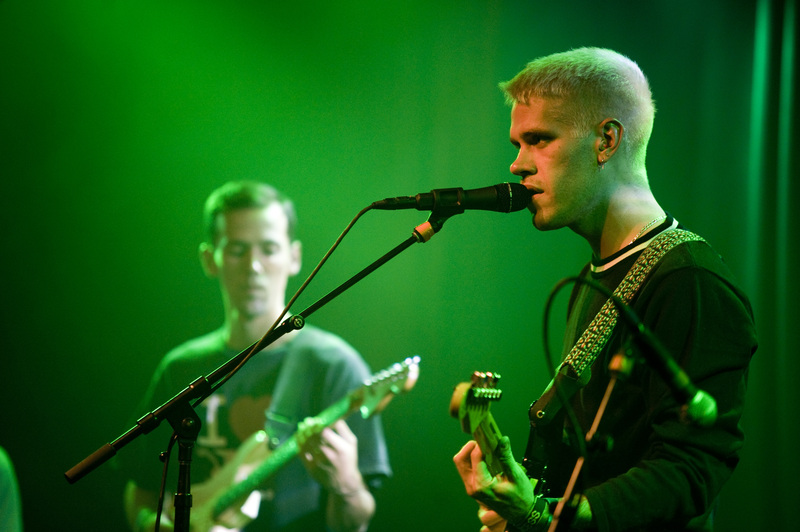 As Porches, though, Maine has found success in composing honest, disrobed songs in his full-length releases Slow Dance in the Cosmos and Pool. 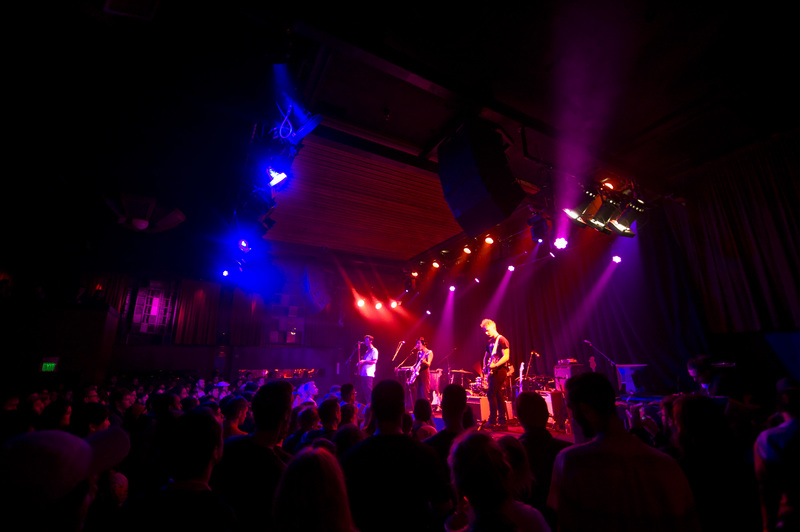 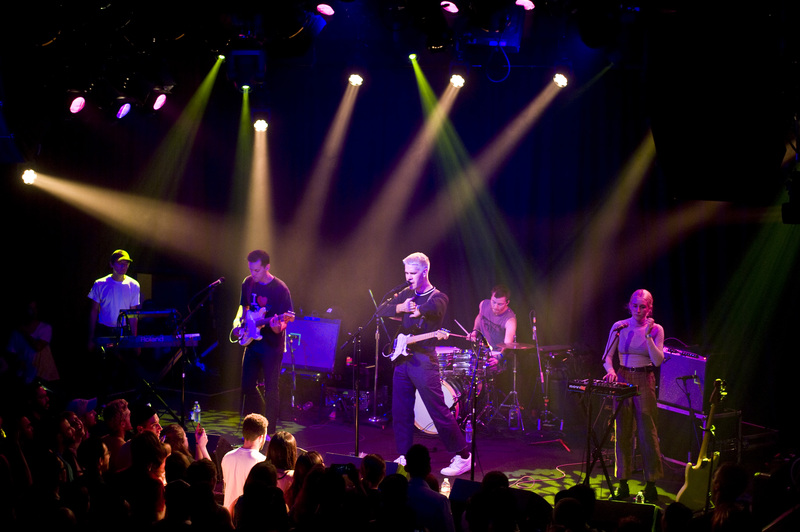 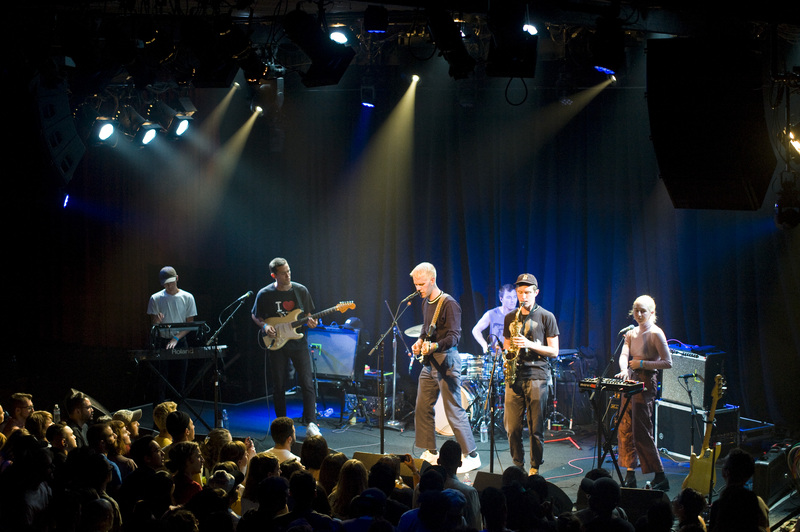 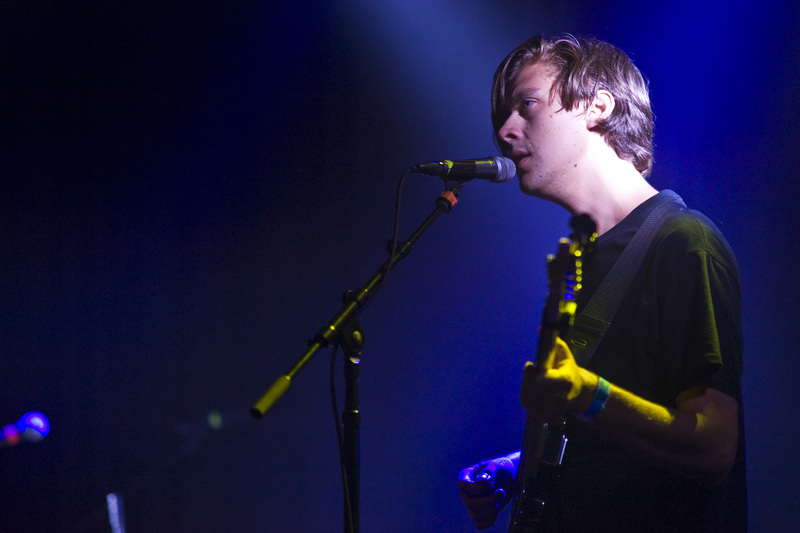 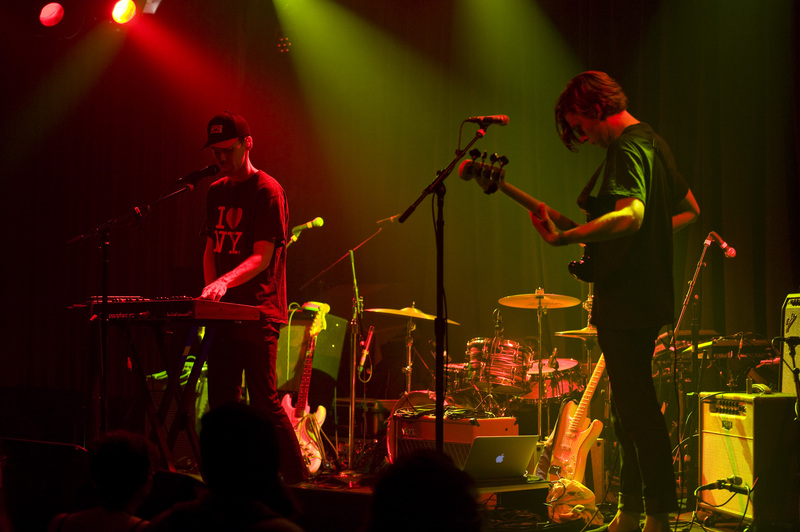 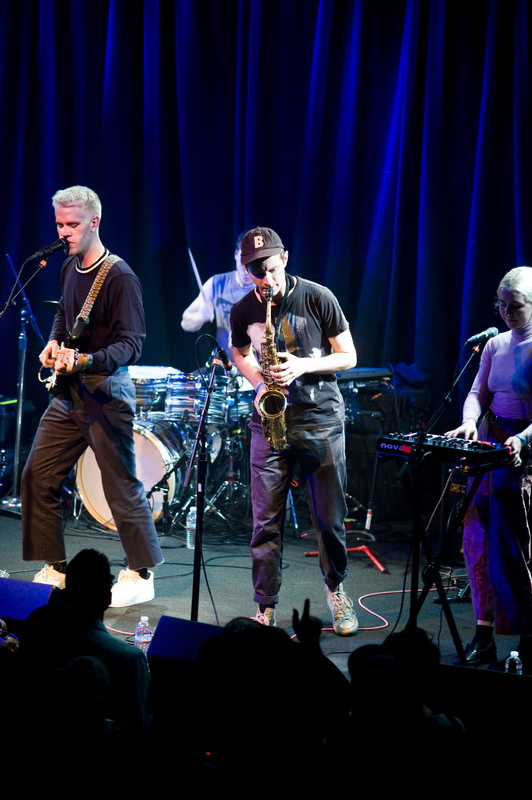 Following shows in Berkeley and Southern California, the New York outfit made a stop off in SF to perform for a jam-packed audience at The Independent on a Sunday night. 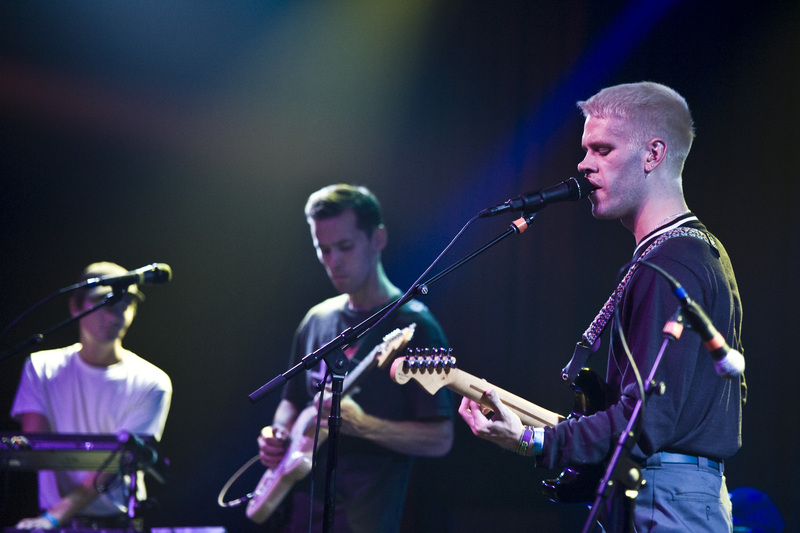 Opening the evening was Rivergazer, the creative outlet for Porches guitarist Kevin Farrant, who produces melodies that combine interluding minimalism with catchier synth textures, building up to some dramatic danceable hooks. 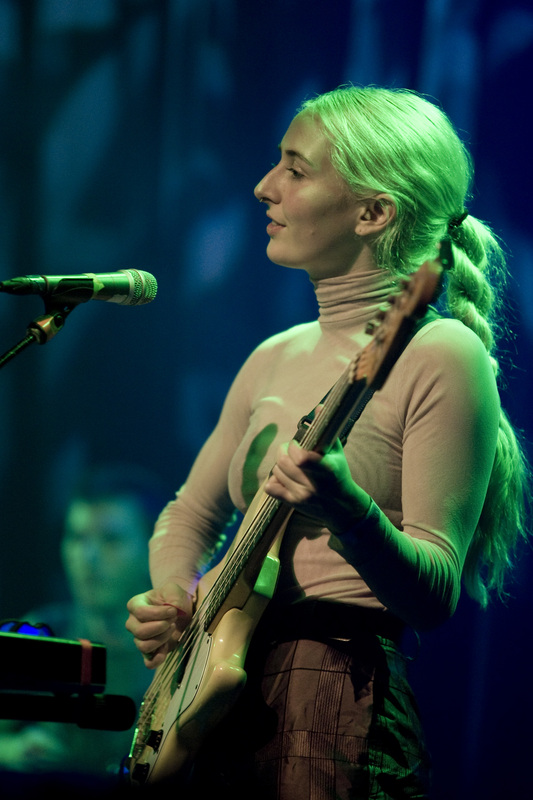 Many of Farrant’s songs address darkness and beauty, and a haunting falsetto and salient pauses further dramatize the content. 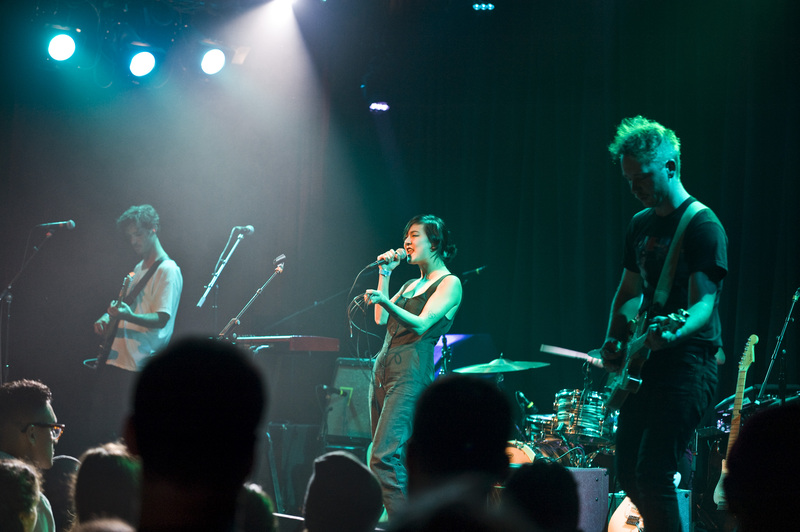 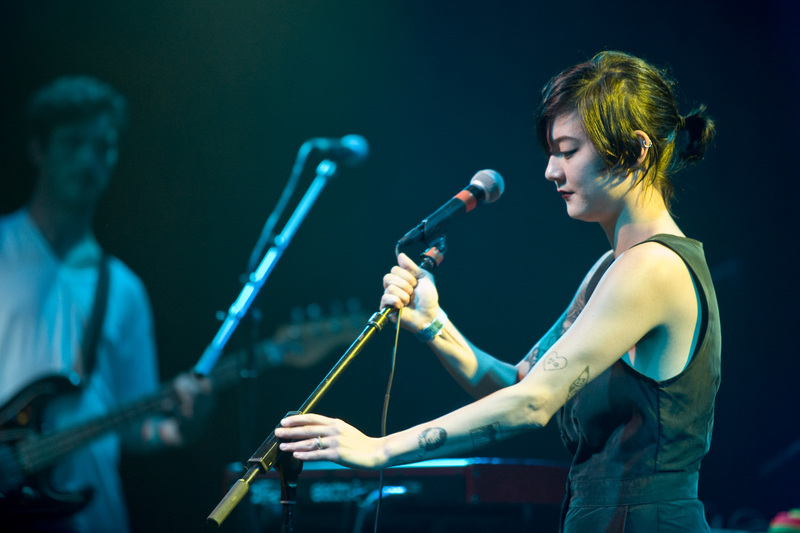 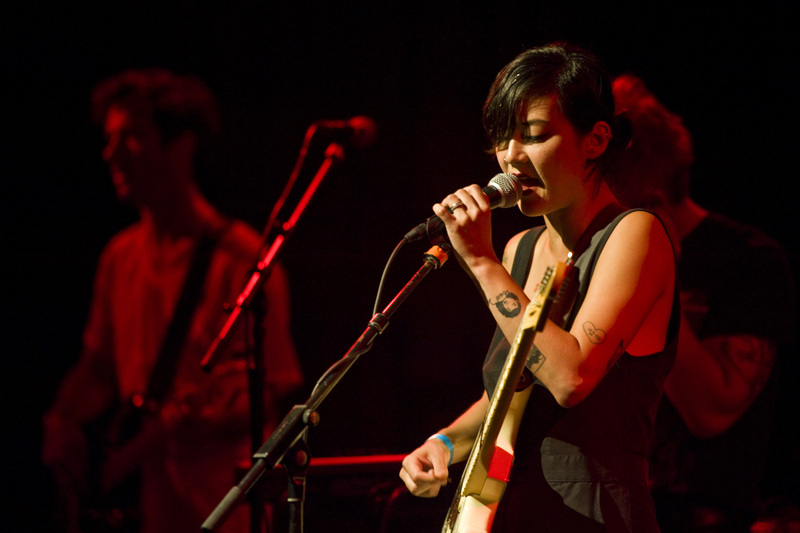 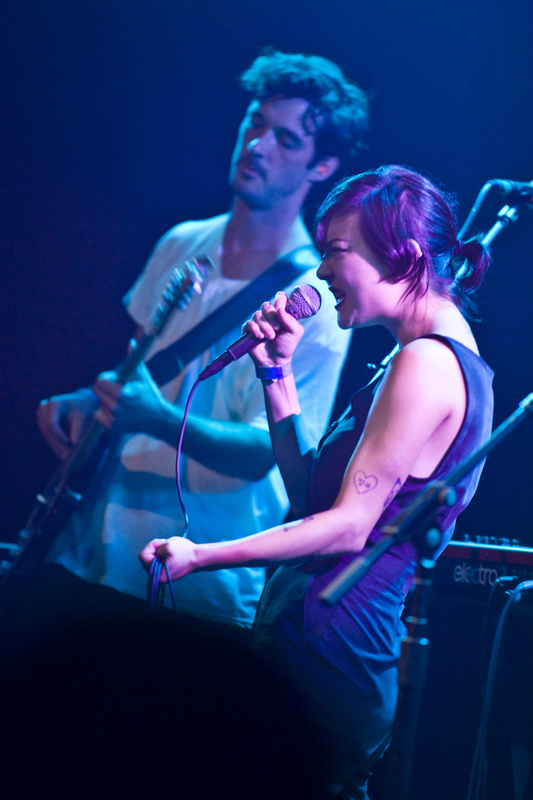 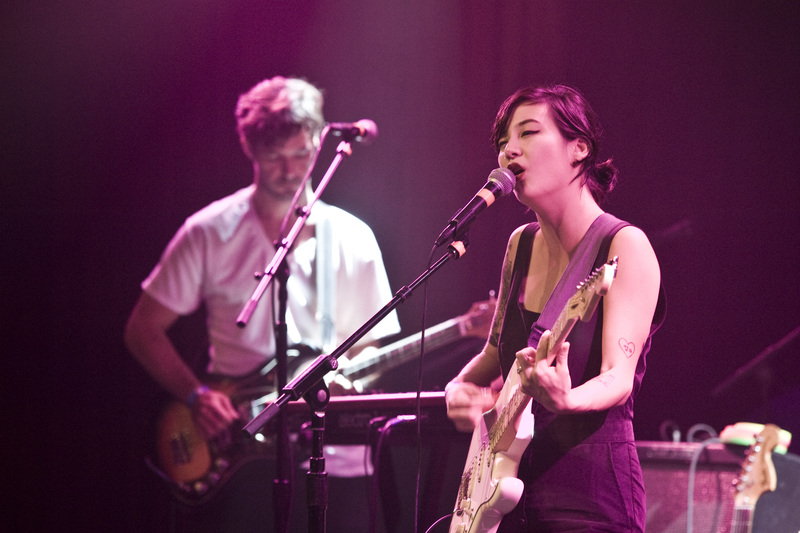 Michelle Zauner’s band Japanese Breakfast delivered an exuberant set to dial up the crowd’s energy. 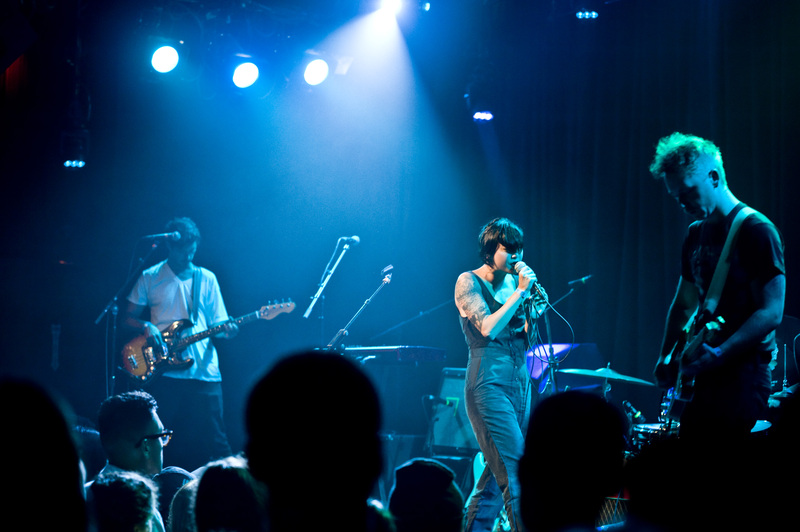 Zauner, despite being rather petite in size, seems to almost never stop moving. 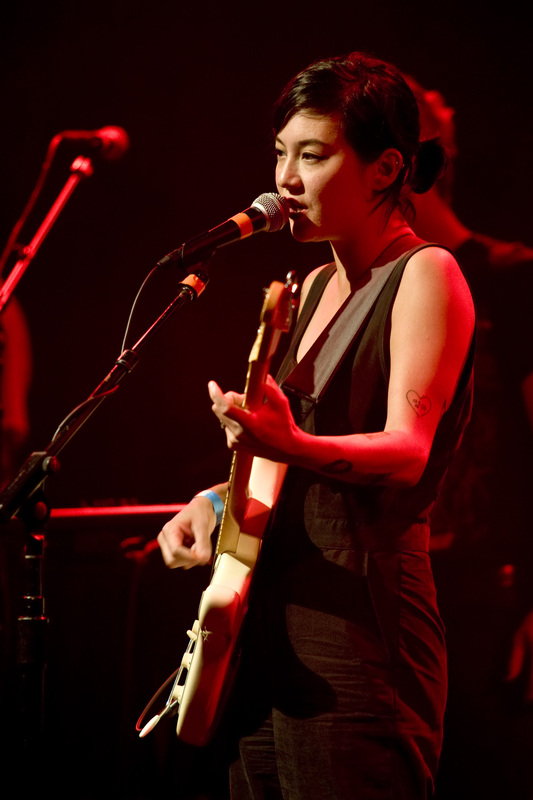 As she swayed with each song, she showed her wide vocal range as well as her diverse songwriting. 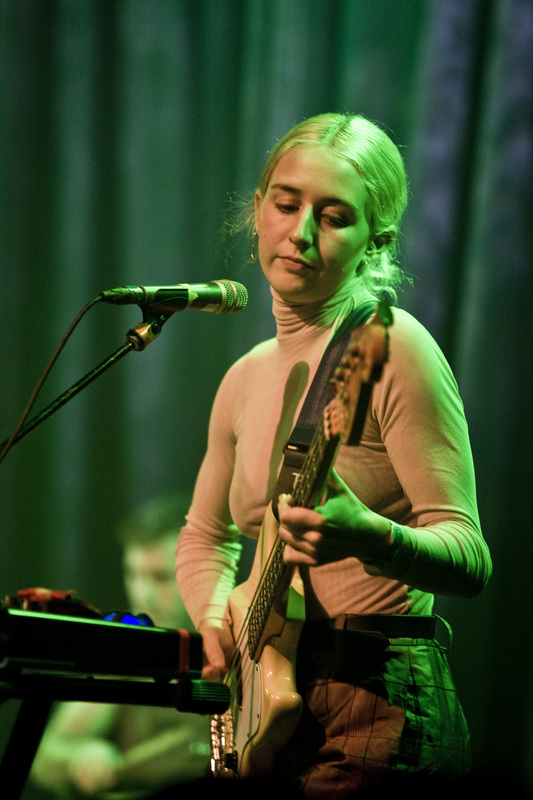 Zauner certainly knows how to sing delicately and tug at the heartstrings, but she can also scream her emotions out (something that you’re more likely to hear in her other band, Little Big League). 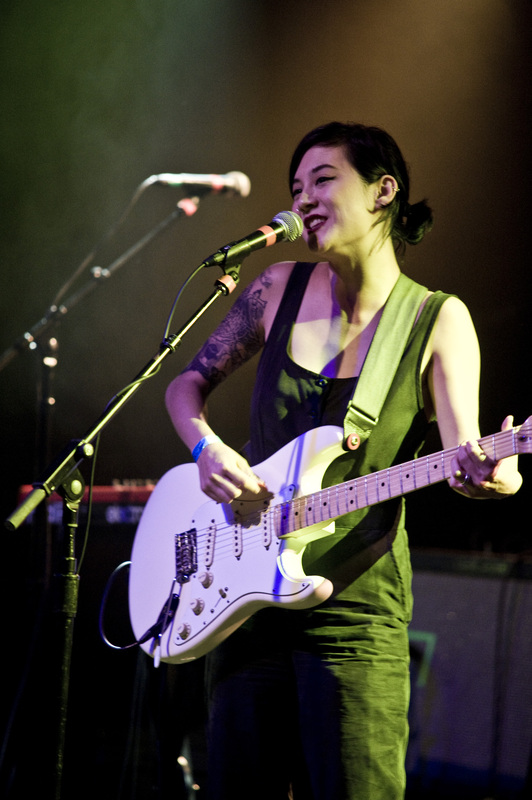 The last song of Japanese Breakfast’s set, which Zauner has said is about falling in love with a robot, deviated from the group’s indie-rock sound for more of an electronically-driven foundation that incorporated auto-tune in her voice. 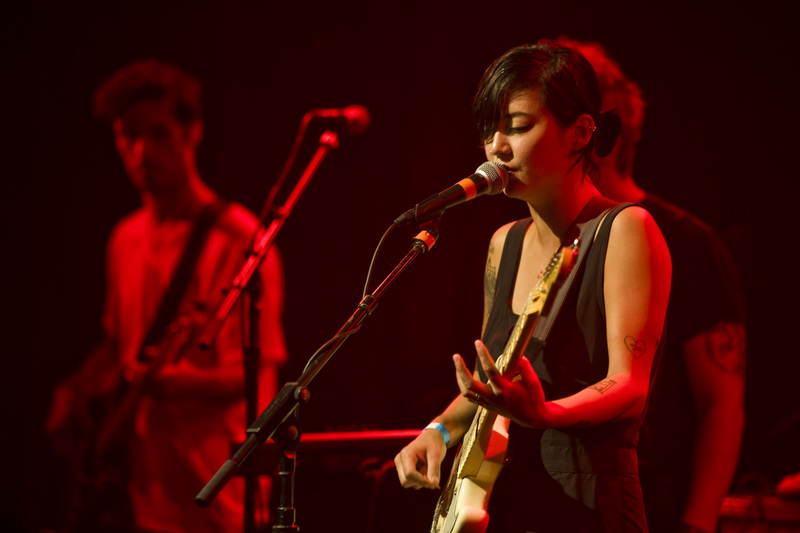 She also gave a special shout-out to local Bay Area songwriter Jay Som, who supported Japanese Breakfast and Mitski during their U.S. tour this year. 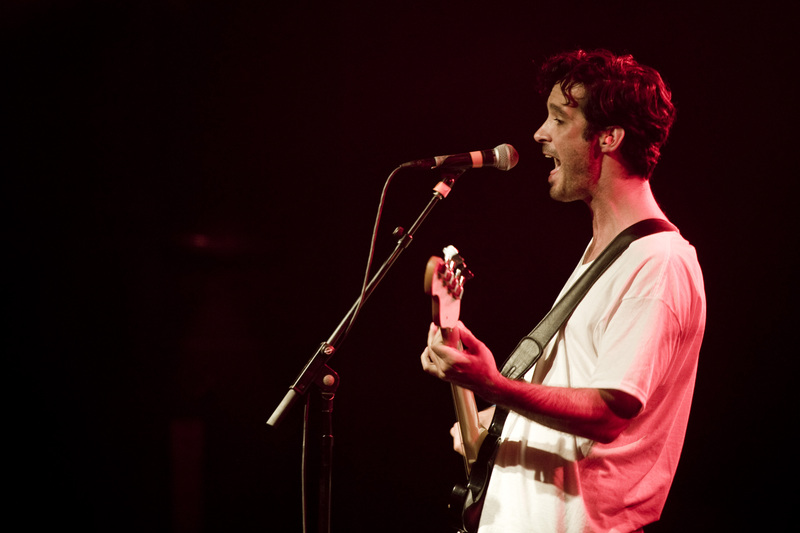 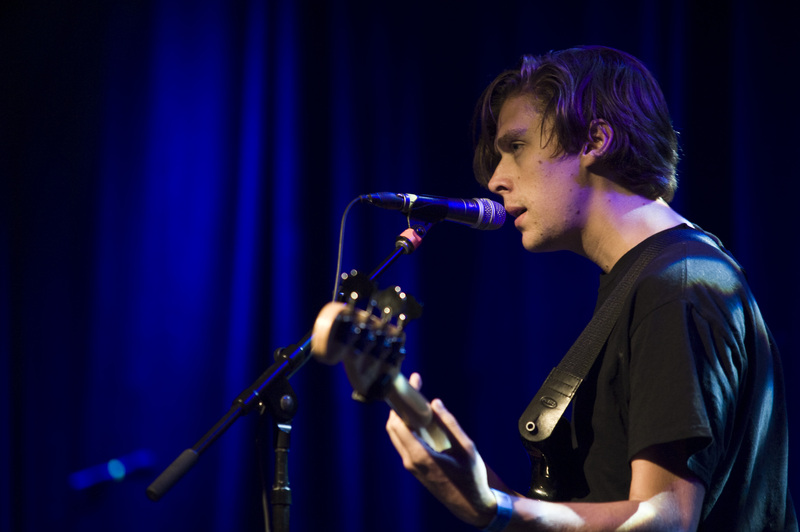 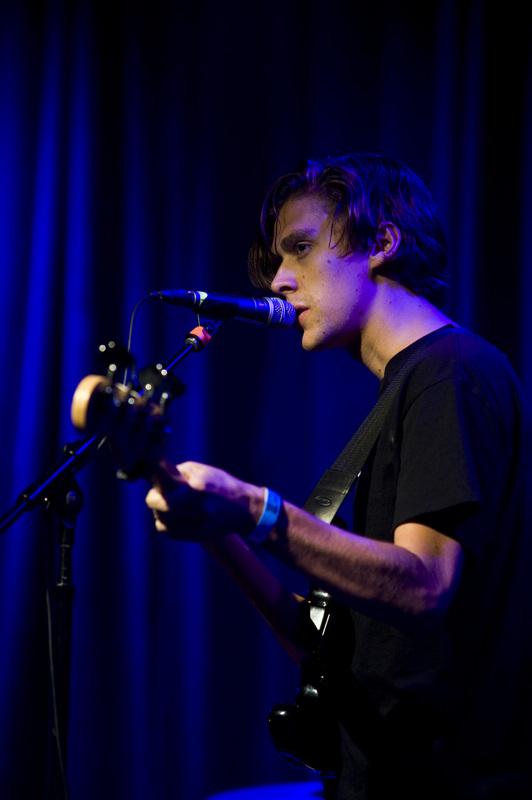 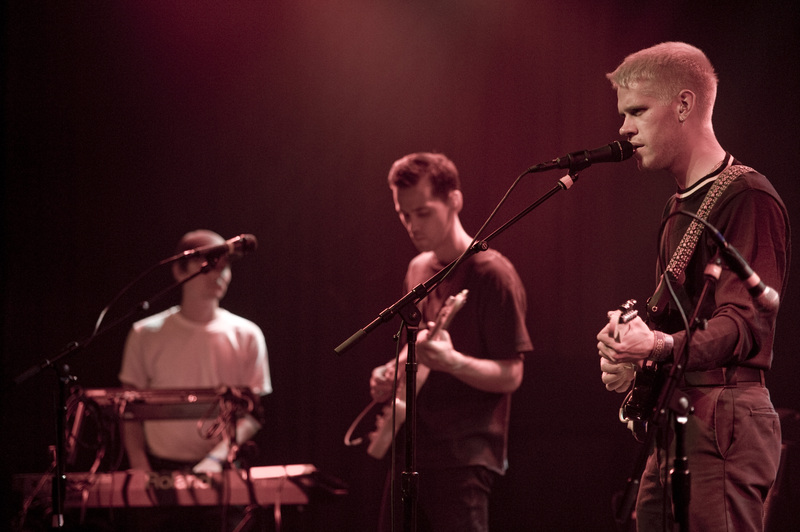 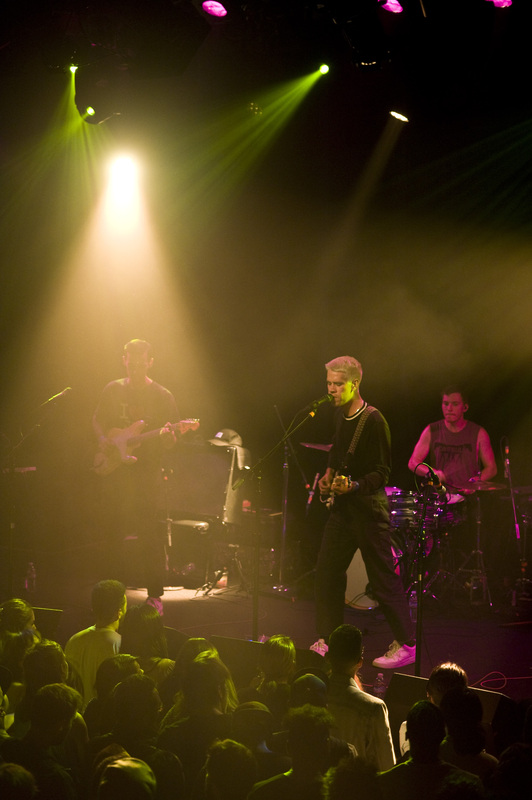 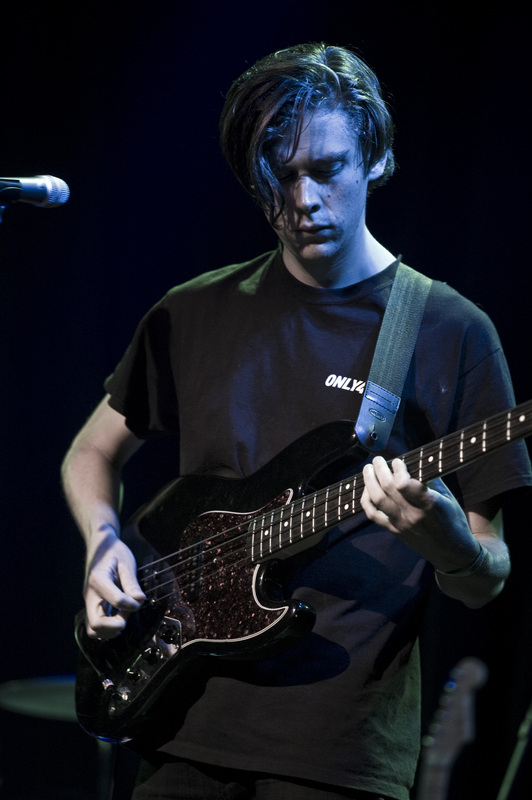 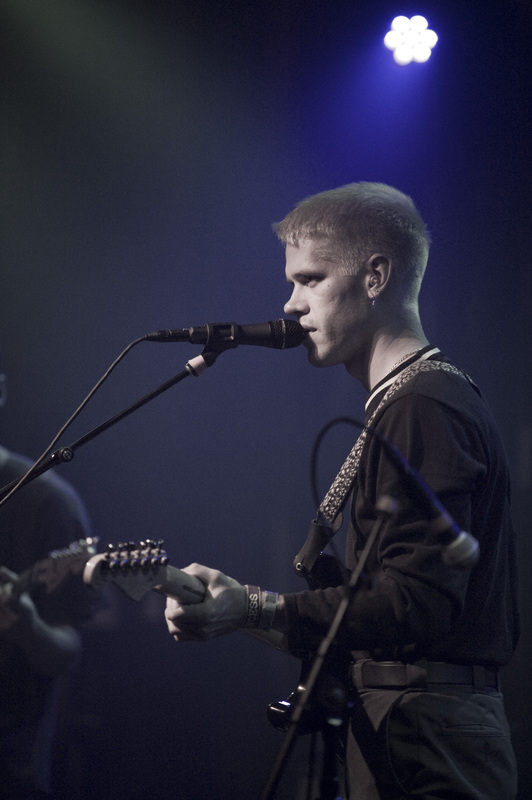 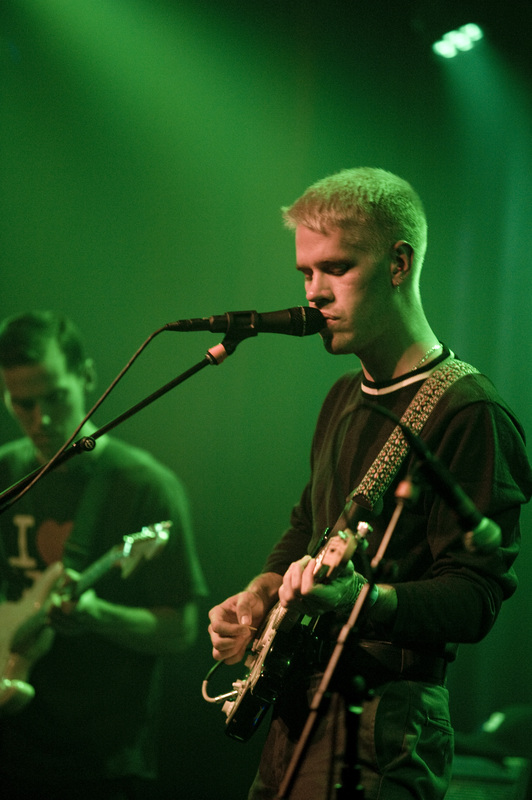 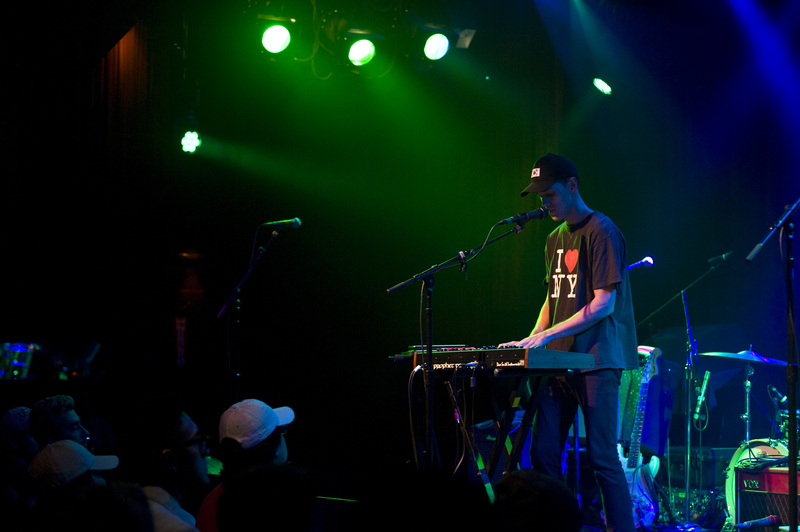 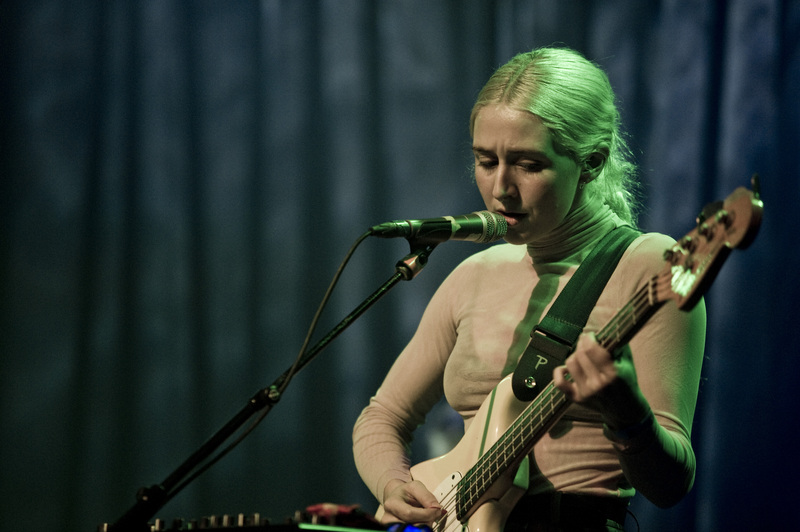 For Porches’ headlining set, Maine stepped onstage with five supporting musicians joining him, including his girlfriend Greta Kline (better known by her stage name Frankie Cosmos). 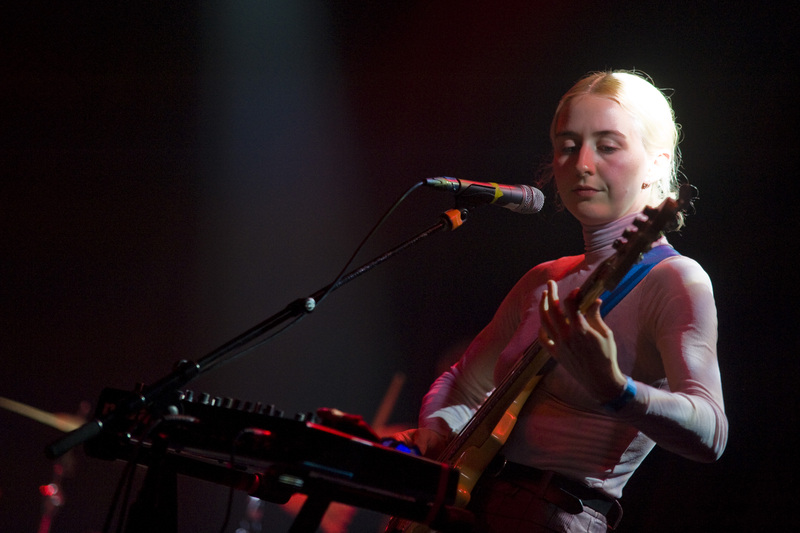 Maine and Kline collaborate on each other’s musical projects, with Maine serving as Kline’s drummer for Frankie Cosmos. 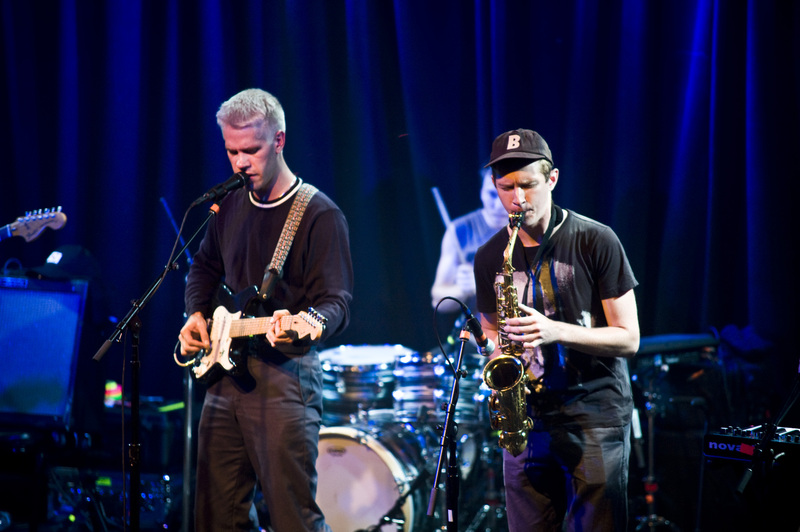 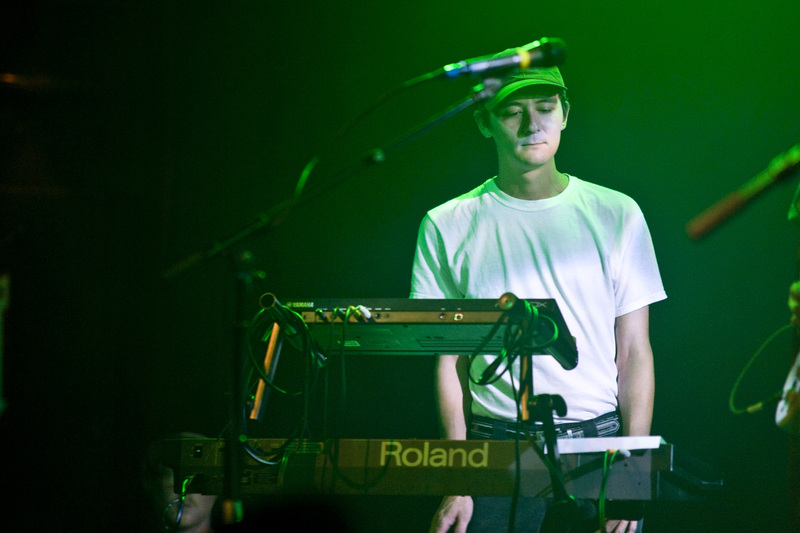 At The Independent, Maine built melodies with his guitar while Kline switched from bass to keyboards and even contributed vocals. 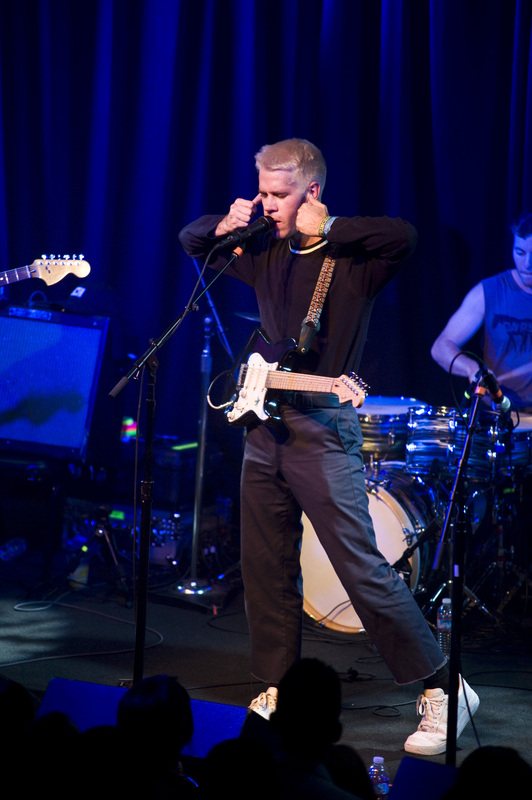 He crafted an austere stage presence as he unveiled poignant vocals and slow, gyrating dance moves rather than showing ounces of energy and offering excessive banter. 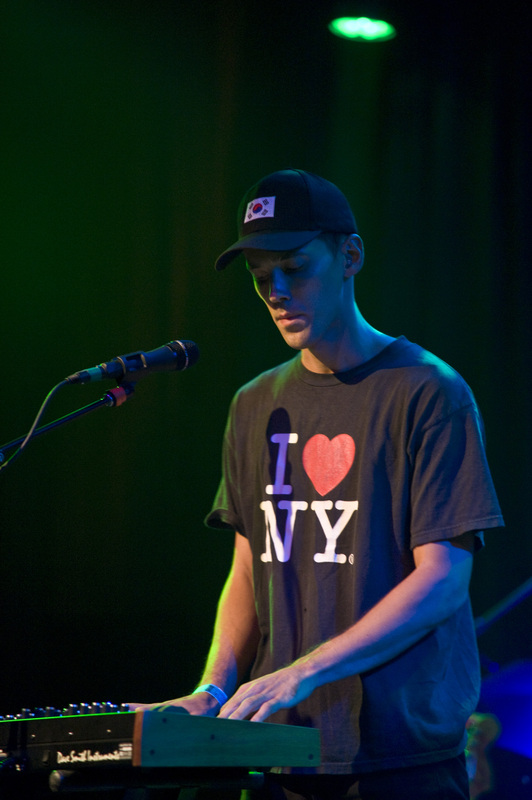 Doing so didn’t prove any lack of confidence on Maine’s part, but it did indicate his own artistic expression in performing the music impartially and modestly. 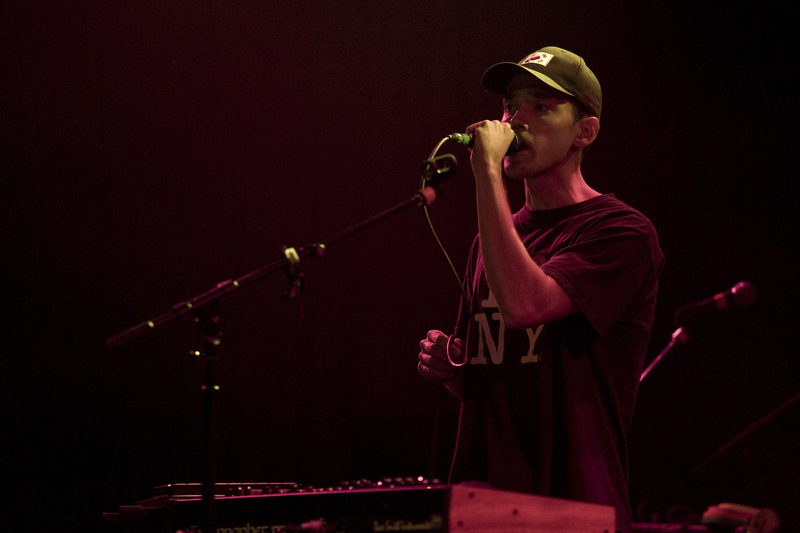 By the end of the evening, Maine had showcased his music just as he had presented himself — seemingly simple, yet thick with emotion.